Who doesn’t love a freebie?!?!? Well, all it takes is a referral through our Client Referral Scheme. 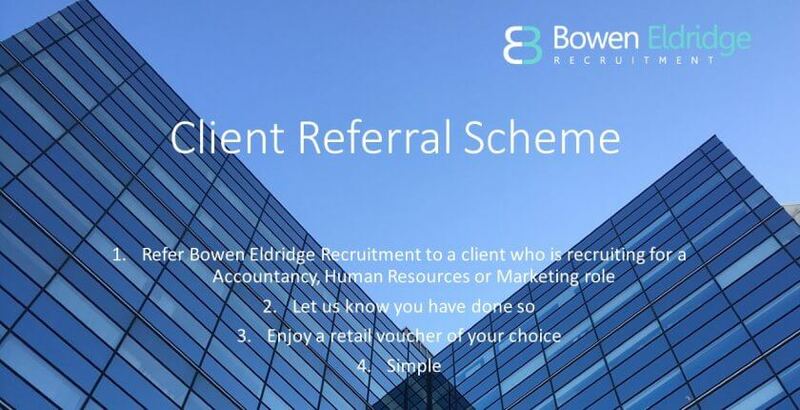 We have setup a referral scheme for clients, so if you know of anyone who is recruiting and are happy to recommend us, a shiny retail voucher of your choice will be winging it’s way to you! As with all things, terms and conditions of course apply! So if you know any peers recruiting for Accountancy, Human Resources or Marketing roles in Cardiff and the wider South Wales area, send them our way. For more information on our Client Referral Scheme, contact us today.